The game that helped launch a franchise is back with a new edition plus additional Runewars and A Game of Thrones expansions are also now available from Fantasy Flight Games! 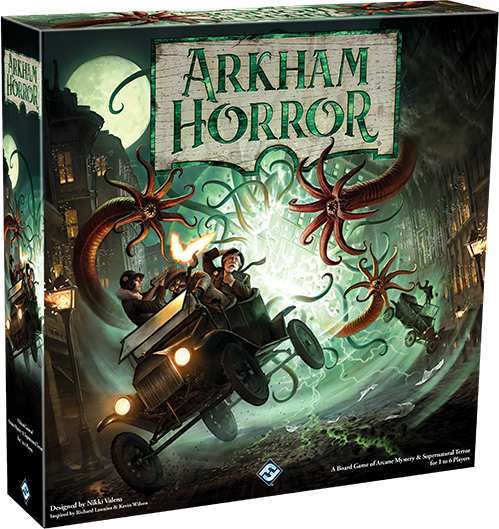 Are you ready to face the madness with an updated version of the classic game Arkham Horror. Pit your wills and skills against multiple scenarios battling back the things from beyond. It’s a brand new spin on Arkham with modular tiles, new investigator perks, and more to do than just sealing gates with clues – Arkham Horror Third Edition is out now! 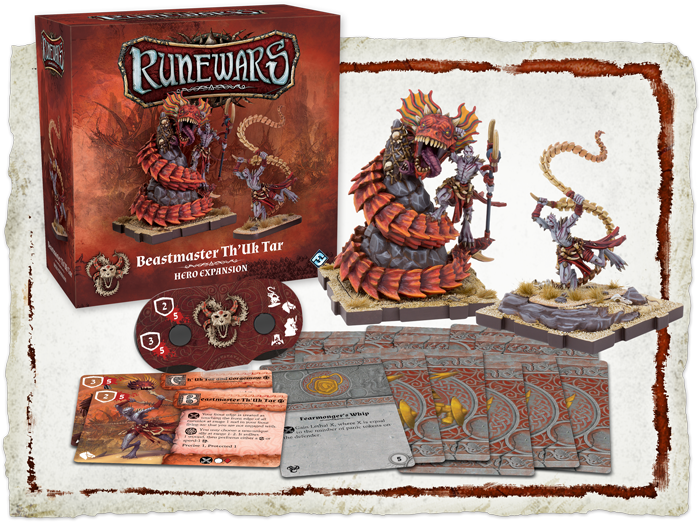 Bend the creatures of the Ru steppes to your will with the Beastmaster Th’Uk Tar Hero Expansion for Runewars Miniatures Game! When the Uthuk march into battle, their ranks are filled with not only tribesmen of the Ru Steppes, but also deadly beasts that thrive in the broken lands. Only Beastmaster Th’Uk Tar can bend them to his will, using his spine whips to beat the creatures into submission. Marked by the Ynfernael with hooked feet and razor fangs, this Uthuk tribesman was destined for glory from infancy. Now a chieftain, he uses his unholy link to lead his pack to war, and all shall either submit or perish! The Beastmaster Th’Uk Tar Hero Expansion includes two unpainted figures, one command tool, a new objective and deployment card, thirteen upgrade cards, and a collection of tokens to further customize your demonic army. Surrender to the power of the Ynfernael with the Obscenes Unit Expansion for Runewars Miniatures Game! These twisted, warped warriors shed their frail selves in exchange for the toughened skins split with spikes, gorging on the power of the Ynfernael. When the grotesquely swollen brutes march into battle, the very ground shakes with their approach. Weilding massive clubs along with the momentum of their bulk and hounded by an incredible taste for flesh, they shall feast on the enemies of the Uthuk until nothing living remains! 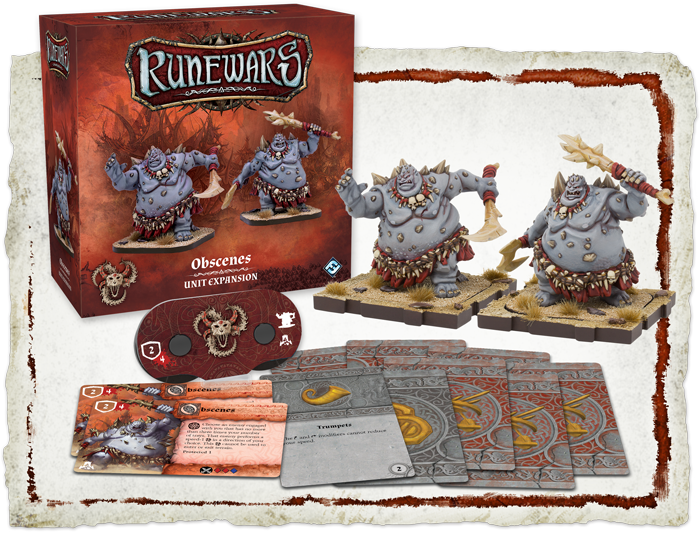 The Obscenes Unit Expansion includes two new unpainted figurines, two command tools, a collection of tokens, and eight upgrade cards to further customize your demonic army. Darken the skies with the Viper Legion Unit Expansion for Runewars Miniatures Game! Armed with piercing arrows and venom from the most dangerous serpents, these cunning circumspect warriors are perhaps more dangerous than the Uthuk’s Berserkers or demons as they strike their enemies with poisoned volleys across great distances. Those infected with their toxins rarely have the strength even to whisper a final curse before they perish. Learn the secrets of the serpents and purge the unworthy from the world! 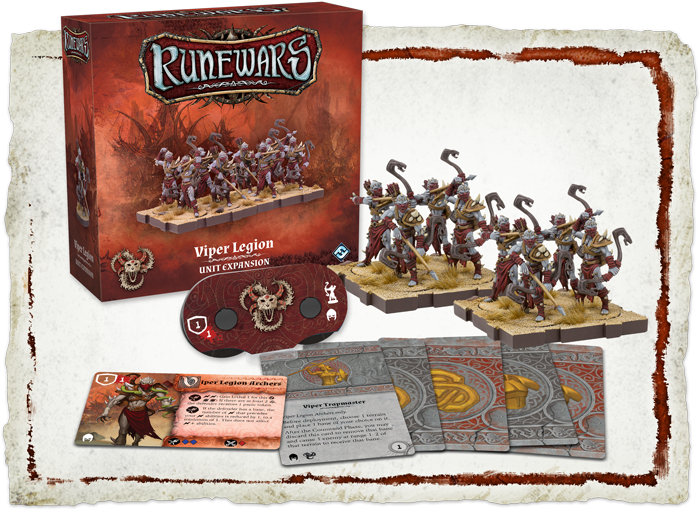 The Viper Legion Unit Expansion includes eight unpainted figurines, one command tool, a collection of tokens, and five upgrade cards to further customize your demonic army. 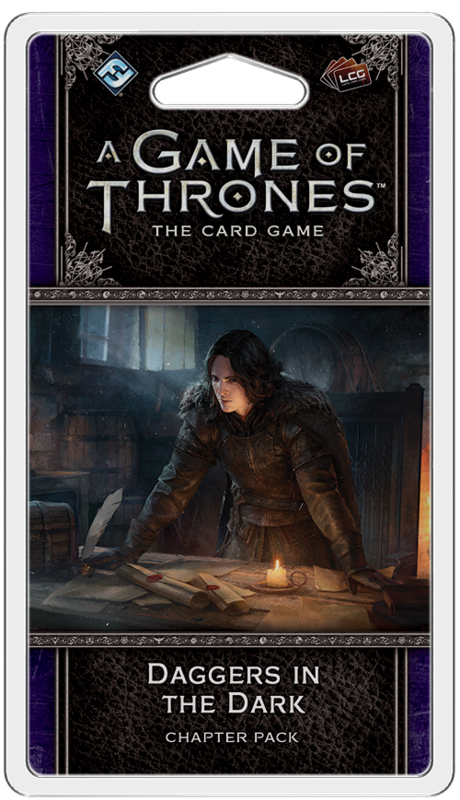 Daggers in the Dark is the sixth Chapter Pack in the Dance of Shadows cycle for A Game of Thrones: The Card Game. Featuring three copies each of twenty distinct cards, this pack draws you into the pages of A Song of Ice and Fire, where the key characters in the story find themselves surrounded by enemies as the shadows encroach. At the Wall, Jon Snow struggles with his duties as Lord Commander of the Night’s Watch as his brothers whisper dissension. In King’s Landing, Cersei Lannister attempts to keep the loyalty of the smallfolk as the Faith Militant stirs rebellion. And in Meereen, Daenerys Targaryen makes difficult sacrifices to win the hearts of the Meereenese as assassins plot her demise.